Good explanations for how acupuncture works? 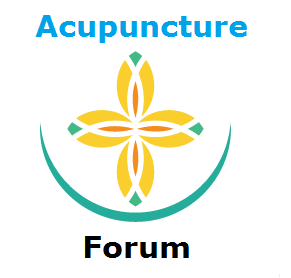 Home › Forum › Discuss and Talk Alternative Medicine › Good explanations for how acupuncture works? This topic contains 4 replies, has 3 voices, and was last updated by EricKim 10 months, 3 weeks ago. I was having to explain to this new person how acupuncture works and I realised I had never been asked so directly. What’s the best way to explain this? From my experience, most people just think it has to do with stimulating nerves. To someone who has only basic understanding of science and medicine, it’s admittedly easier to explain energy and qi. Bring up the Bong han theory of the recently discovered primo-vascular system that mirror meridians. Acupuncture is like viewing the human body through quantum lens, similar to how xrays or MRI scans show a certain dimension of the body. This quantum lens begins to paint a picture of how all types of energy, be it in the form of thought, emotion, movement etc create a ripple to how your organs function ergo how healthy you are. I’ve always found this to be a good explanation because acupuncture doesn’t just work in the physical ways we know how to measure. That’s a good one, I haven’t heard that before. I’ve always struggled with this, would love to know peoples input, specifically acupuncturists.